Located on the second floor of the hotel, this accommodation has an east facing Cycladic window from which you can see the quaint walking path that is a traditional feature of the landscape. The room comes complete with a private bathroom and shower as well as a refrigerator and other modern amenities. The hotel’s pool deck is easily accessible and offers the best vantage point from which to enjoy the wonderful views of Santorini that our hotel has to offer. 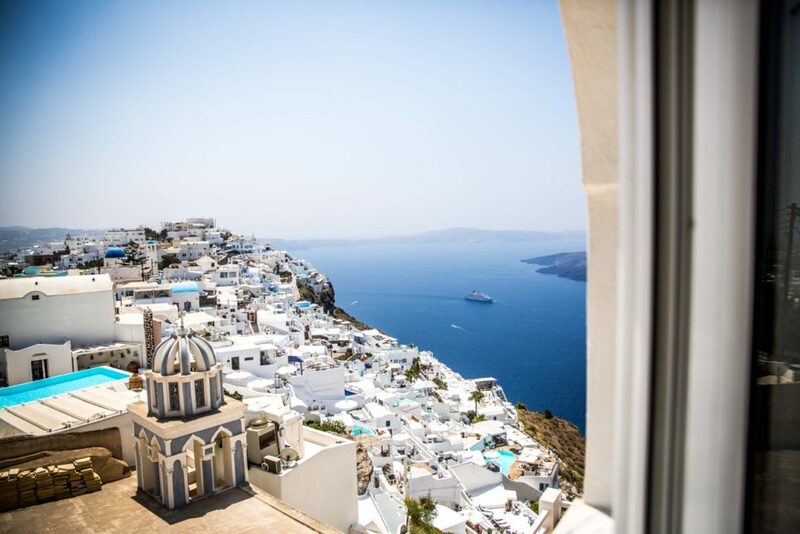 Whether you are interested in the Caldera gulf or the majestic volcano, you can enjoy both whilst soaking up the Santorini sun and feeling yourself relax as you become at one with your surroundings. Window facing the traditional walking path and the Eastern sea of Aegean.